You can build the best soil for growing vegetables in a raised bed by mixing specific soil types. While pre-mixed soils are available for purchase, it's far cheaper to make your own mix. Blending the right types and amount of soils is easy when you follow a formula. Many people believe it's best to use local soil for raised beds. This approach takes local climate and environment into consideration for growing vegetables. Start with the easiest soil mix formula of 50% compost and 50% local topsoil. The higher the compost quality, the more nutrients the soil has to feed plants. Most organic gardeners create their own compost. This decomposed organic matter has a recognizable texture that is dark brown and crumbly. 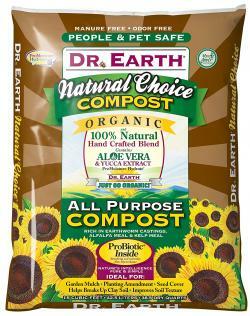 If you'd prefer to just buy your compost, Dr. Earth All Purpose Compost contains earthworm castings, alfalfa meal, kelp meal and other organic nutrients. A 1.5 cubic-foot bag costs around $30. Good quality compost should contain the nutrients vegetables need for healthy growth. These include the macronutrients known as NPK: nitrogen (N), phosphorus (P) and potassium (K). In addition to these macronutrients, compost has many beneficial micronutrients and trace minerals. Some include sulfur, manganese, iron, copper, zinc, carbon, magnesium, calcium, boron and iodine. Topsoil is typically the first two to six inches of the top layer of soil. You can purchase topsoil in a loamy mixture of clay, silt and sand by the cubic yard from a landscaping supplier. You can also buy a 40 pound bag from a local garden center. You should purchase topsoils that have been screened to reduce clumps and debris. Some topsoils are very poor quality with few nutrients. 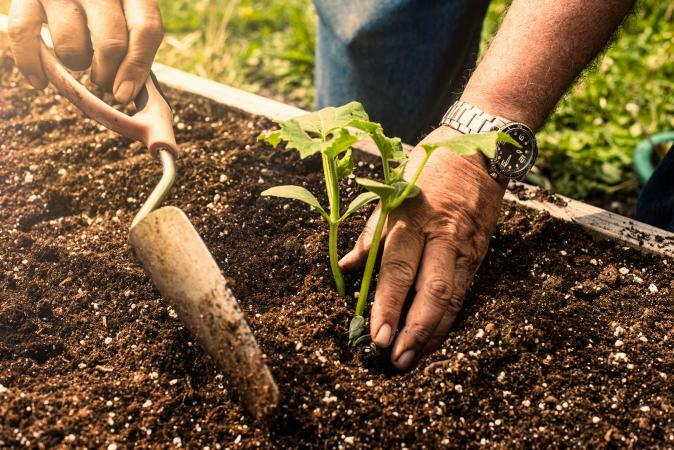 This soil can provide volume to your raised bed, but will need different soils and amendments, such as compost, lime and various nutrients and trace minerals. Composted manures are quality amendments that also provide good soil texture for root growth. If your budget won't allow for purchasing the soils you need to fill your raised bed, opt for the lasagna gardening method. Also known as the Hugelkultur (hill mound) method, you'll start by placing twigs, leaves and straw at the very bottom of the raised bed. You can also use vegetable ink newspapers and various compostable foodstuffs (no meats), such as coffee grounds, egg shells, and tea leaves. These will be layered like a lasagna until you're about six to eight inches from the top of your raised bed. Don't overfill the bed. You can now invest in bagged soil to fill those last few inches. Most vegetables don't require more than six to 12 inches for root growth. The materials you layered beneath the bagged soil will gradually decompose and breakdown under the heat, water and air. The decomposing materials will slow-release nutrients. As the under layers break down and the soil compacts, you can add more layers as well as compost from your compost pile. Adding gardening soil to compost will build up nutrient properties. You should avoid using potting soil since it will drain too quickly and wash away nutrients. 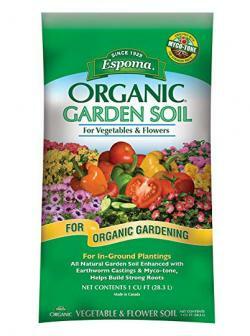 Espoma Organic Garden Soil for Vegetables and Flowers features all natural organic gardening soil. It contains 11 strains of endo and ecto mycorrhizae (good fungi) and earthworm castings. A bag with one cubic feet sells for just under $30. There are instances when you may need to use a specific soil type for your gardening needs. Local climates can often require a different soil mix. For example, a rainy Pacific Northwest garden will need a mix that allows for good drainage, but the same soil mixture would be inappropriate for an arid desert region. Some plants, such as blueberries, require a more acidic soil mix for a different pH soil level. The key to the best soil in a raised bed vegetable garden is to remember that you always want to feed the soil and not the plants. This approach ensures your soil will be rich in nutrients to support vegetable growth.